Called "the world's greatest missionary evangelist" by Time magazine in 1938, E. Stanley Jones (1884-1973) spent 70 years presenting Jesus Christ as the universal Son of Man without the trappings of Western culture. His message had a life-changing impact on the millions of people who heard him speak or read his books. E. Stanley Jones (1884 1973) was a universally admired Christian missionary and evangelist of the 20th century. Called the worlds greatest missionary evangelist by Time magazine in 1938, Jones spent 70 years traveling throughout the world. His approach to evangelism presented Christ as the universal Son of Man without the trappings of Western culture. He delivered tens of thousands of sermons and lectures, traveled 50 weeks a year, and often spoke two to six times a day. His message of the necessity of surrender to Jesus Christ and Jesus is Lord had a life-changing impact on the millions of people throughout the world who heard him speak or read his books. 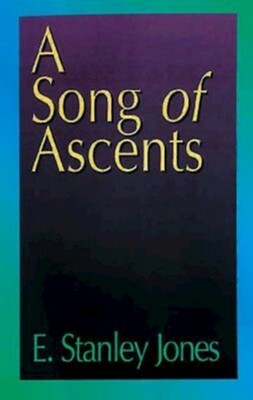 I'm the author/artist and I want to review A Song of Ascents: A Spiritual Autobiography.